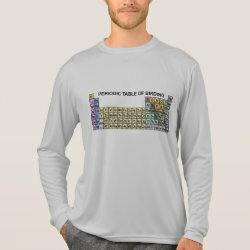 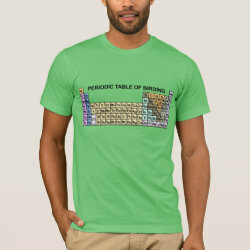 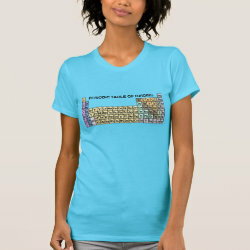 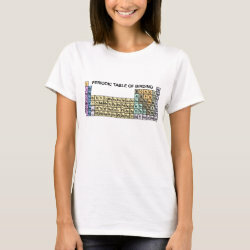 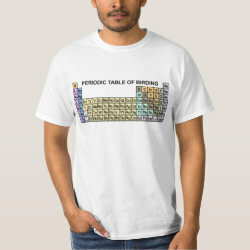 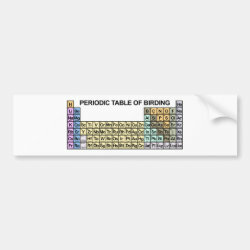 This elaborate design features the entire periodic table of the elements rewritten with birds in mind. 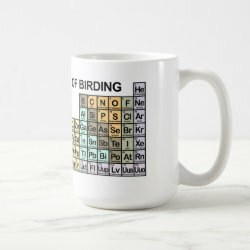 Each element is represented by the traditional letter symbol, More... but the descriptive words are all mixed up in birdy fashion. 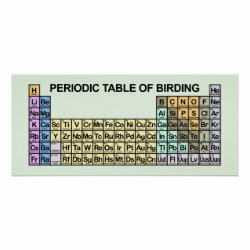 So the letter H represents Habitat rather than Hydrogen; Sc is Scope, not Scandium, and O is for Ornithologist, not Oxygen. 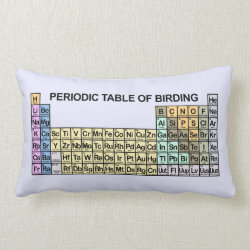 Other fun bird-themed words like Cloaca, Xeno-Canto, Incubation, and Field Guide are here too, along with many others. 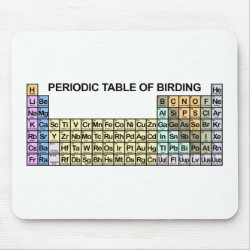 The details in this fun design will have you looking to it again and again -- and it's sure to start conversations with your birder and non-birder friends, too! 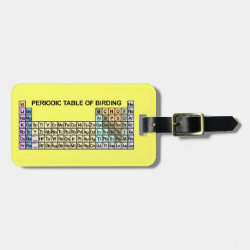 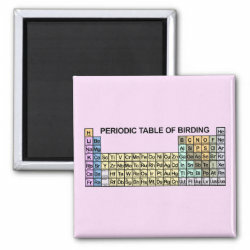 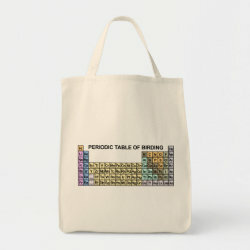 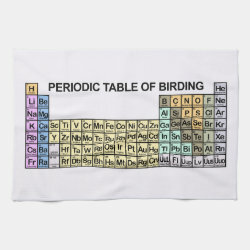 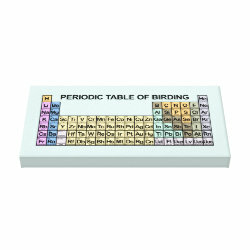 Periodic Table of Birding Kitchen Towel 16" x 24"